The escalation of the conflict in Syria has led to a further polarization of politico-religious factions in Lebanon, especially in the north. Lebanon has suffered under 29 years of Syrian occupation, which lasted until 2005. Northern Lebanon has become a bastion of support for the Syrian opposition, and a safe haven for the Free Syrian Army. Support for the Syrian opposition has led to clashes with the pro-Assad Alawite population in Tripoli. Fighting took place in neighbourhoods surrounding the Alawite district of Jabal Mohsen and the Sunni neighbourhood of Bab al-Tabbaneh. The impoverished neighbourhoods have a history of Sunni-Alawite tensions. The government deployed the army in order to control the situation, which helped restore a cautious calm in Tripoli. The events in the north have led to a growing distrust by Lebanese Sunnis of the security agencies and the army, whom they accuse of working in the interests of the Syrian regime. While the government officially retains its ‘neutral’ position in the Syrian conflict, it is under pressure from the Syrian regime to lend Damascus its support. Hezbollah and its allies want a more forceful crackdown on anti-Assad activities as well, but the government is fully aware of the huge political risks this bears. In addition to the unrest in the north, several high-profile figures have been targeted in other parts of the country. On 19 October 2012, a car bomb killed General Wissam al-Hassan, a top security official in Beirut. Al-Hassan, head of the Information Branch of the Lebanese Internal Security Forces (ISF) and a former top security official of Rafic Hariri, was a controversial figure in the Lebanese security establishment. He played a central role in the cooperation with the Special Tribunal for Lebanon (STL), which is investigating the killing of former Prime Minister Rafiq Hariri. He also investigated several killings of Lebanese figures opposed to Syria in the years following Hariri’s assassination, dismantled networks of armed religious movements, and shut down Israeli spy operations in Lebanon. Months before his own assassination, al-Hassan had uncovered a plot involving former Information Minister Michel Samaha, leading to the latter’s arrest in August. Samaha, a pro-Syrian official, was accused of plotting to plant explosives in the northern city of Akkar in Lebanon, at the order of Ali Mamlouk, a Syrian security officer. 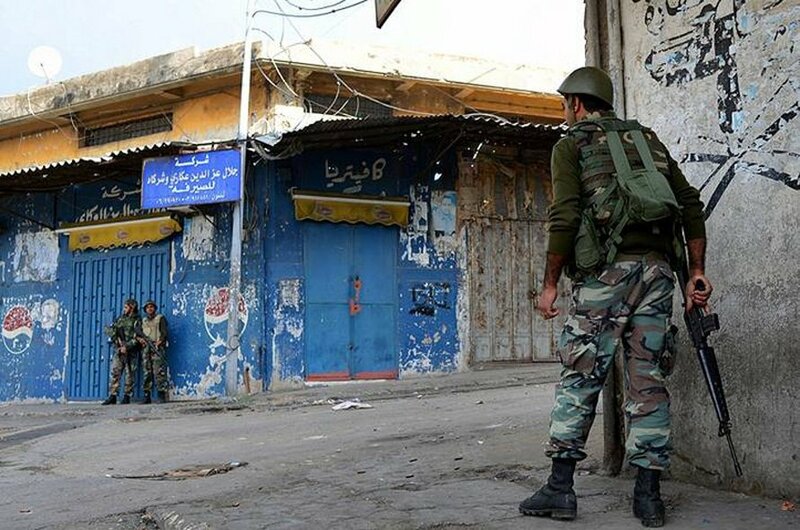 Clashes between supporters of a Salafi group and armed members of Hezbollah erupted in the southern city of Sidon over the presence of Shiite religious banners, and more generally over the dominant position of Hezbollah in Lebanon. The killing of Sheikh Ahmad Abdel Wahed at a Lebanese army checkpoint in the Sunni heartland of Akkar sparked further clashes in the north and in mixed Sunni–Shiite areas in Beirut. Abdul Wahid, an important figure in northern Lebanon and a member of the opposition March 14 alliance, had helped organize shelter for Syrian refugees near Tripoli and played a role in establishing supply lines back into Syria. 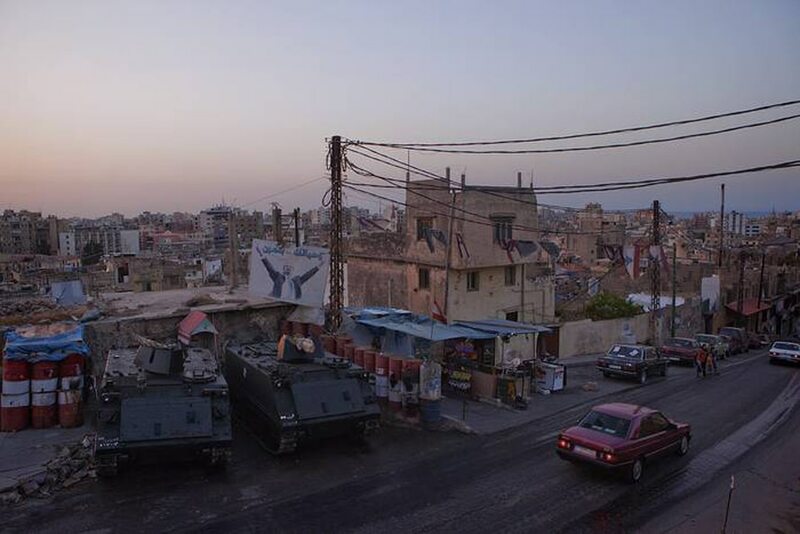 Violence escalated further, with attacks by Sunni radical groups against Hezbollah strongholds, in retaliation for Hezbollah’s military involvement in Syria, not only in Tripoli, but also in Shiite areas in Beirut and elsewhere. Groups such as Jabhat al-Nusra and the Islamic State of Iraq and al-Sham (ISIS) have claimed responsibility for several car bombings and suicide attacks. Increasingly, Lebanese citizens from the deprived part of the Sunni community are involved in such attacks, such as the suicide bombing on 2 January 2014 in southern Beirut by a university student from Akkar. A group of influential Salafi sheikhs have a following among poor Sunnis in the north. They have not only condemned the Syrian regime but have also called on Lebanese Sunnis to join the rebels in Syria. Some of these groups have declared that all strongholds of Hezbollah in Lebanon are legitimate targets. The Lebanese government and Internal Security Forces struggle to counter the deteriorating security situation in the country. Reports recently emerged of Lebanese citizens leaving Tripoli due to the deteriorating security situation. Meanwhile, Lebanon was without a fully functioning government after Mikati announced the resignation of his cabinet, on 22 March 2013. The formation of a new cabinet was stalled over the distribution of cabinet positions among members of the main political blocs March 8 and March 14. March 14 initially refused to join a government with Hezbollah members, as long as it continued to fight against Syrian rebels. In January 2014, however, with the start of the trial of four Hezbollah members at the Special Tribunal for Lebanon, former Prime Minister Saad al-Hariri stated that he was ready to share power with his rival, Hezbollah. His statement was surprising, given that four Hezbollah members had been charged for the killing of his father and Hezbollah was accused of assassinating several prominent figures linked to Hariri’s Future Movement. A compromise between the camps was reached, when March 14, March 8, and centrist figures loyal to the president, Prime Minister Salam, and Druze leader Walid Jumblatt agreed to share power. A lineup with eight ministers selected from each of the rival camps was agreed upon, giving each camp veto power in the government. This implies that no important change in policy can be expected until the presidential elections planned for 25 May 2014.